Luxurious Custom Windsor Model.This Beautifully Appointed Estate Home Is One You Won't Forget. So Many Features Pleasing To The Eye And Yet Creates A Feeling Of Relaxation And Comfort. Hartford Cherry Cabinetry Throughout, Dual Leaded Glass Entry Doors , Stainless Appliances, Gas Cook Top, Custom Master Bath That You Have To See To Believe, Double French Doors Off Formal Living Room & 2 Built-In Wine Coolers. This Elevated Golf Course Lot Is On Cimarron Hole #1. 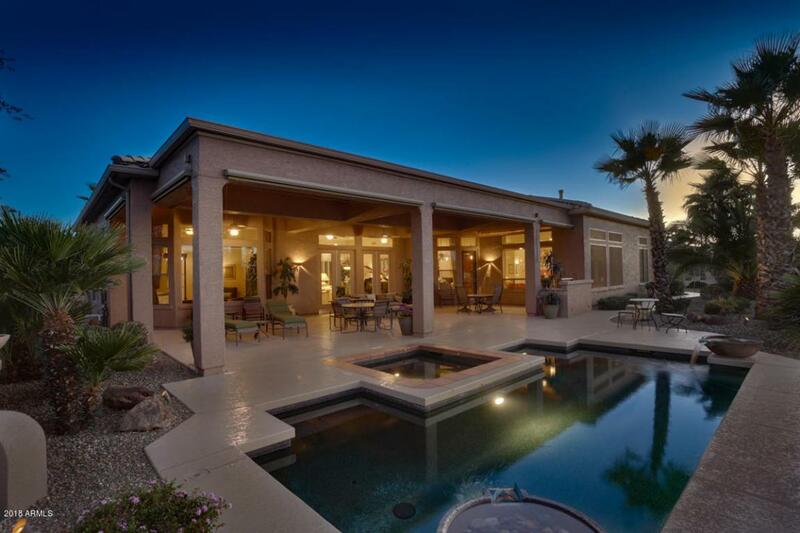 The Views Include Fairways, Water & Mountains From Inside The Home And Patio. The Outside Living Features Include Double Extended Covered Patio, Heated Salt Water Pool & Spa, Built-In BBQ, Surround Sound & Auto Roll Down Shades. New Cool Decking & Garage Cabinets ~ Exterior Painted 2017Exterior Painted 2017 , New Cool Decking 12/2017 and Garage Cabinets. 2x6 Construction, Post Tension Foundation and Radiant Barrier Roof. The Garage has added Window, Side Entry Door with Cement Pad and additional insulation in ceiling and walls.